the late Datuk Zaharuddin Abu Kassim. TEMERLOH: Barisan Nasional's Kerdau assemblyman Datuk Zaharuddin Abu Kassim has died of heart attack after collapsing at his house Saturday. He was rushed to the hospital here and was pronounced dead at 7.15pm. With the death, the Election Commission will have to call for the 16th by-election since the March 2008 general election. 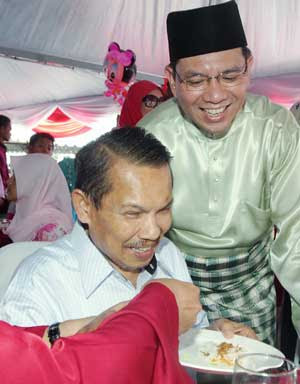 Zaharuddin, who remarried early last month, has been hospitalised for unstable blood pressure. He was treated at Sultan Ahmad Shah Hospital in Temerloh for two weeks. 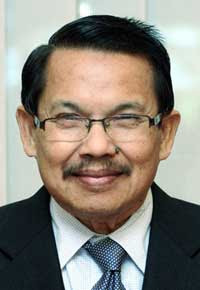 The assemblyman’s poor health had prompted Pahang Umno to appoint Kuala Krau MP Datuk Ismail Mohamed Said as coordinator for Kerdau. In May, Zaharuddin, 63, was warded for two months in the National Heart Institute in Kuala Lumpur for a stroke after an operation for ulcers in the intestine.